You've heard the expression, "stop and smell the roses." Well, we have taken it one step farther. You need to stop, smell the roses and then EAT them! 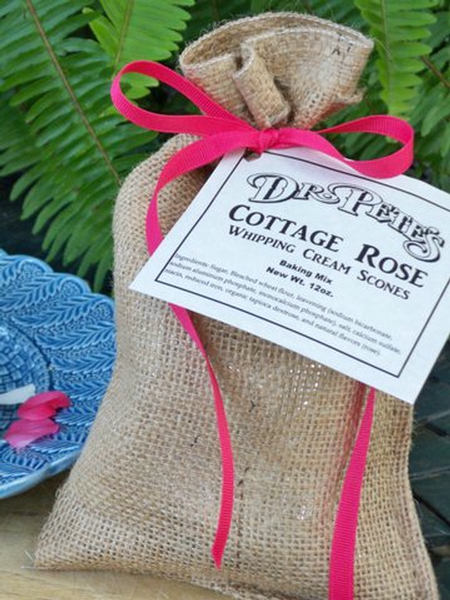 Our Cottage Rose whipping cream scones are delightful. While baking, your kitchen will smell like a bouquet of roses and the first bite will have your taste buds saying, "yes, I'll have another." For centuries roses have been used in other parts of the world to flavor foods, now you can enjoy this beautiful flavor. Hand crafted for you in small batches in Ailey, Georgia.